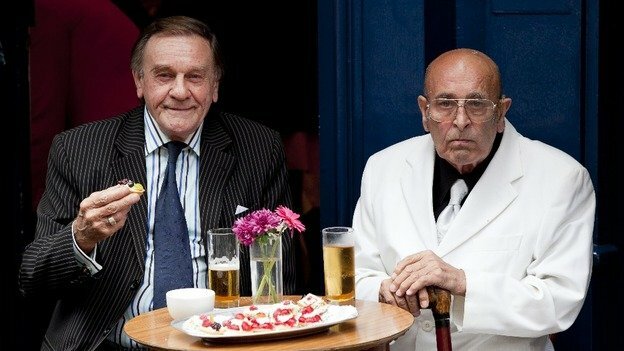 Some of Britain's most notorious gangsters donned suits and ate canapes at the launch party of a new documentary about their lives today. 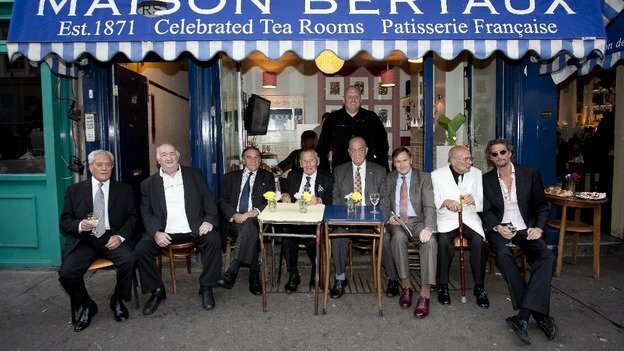 Many of the assembled guests at Maison Bertaux in London were friends and of the Kray brothers, who ruled London's East End in the 1960s and 70s. Some, like Lenny Hamilton and Eddie Richardson, were their rivals and enemies. All feature in a new documentary, British Gangster: Faces of the Underworld, which will be screened on the Yesterday channel and released on DVD this November. The series is presented by crime author Bernard O'Mahony, who has also made a name for himself by using penpal letters to extract confessions from criminals who target children. Among the guests was Billy Frost who was employed as the Kray brothers' driver and remembers them for their charity work. 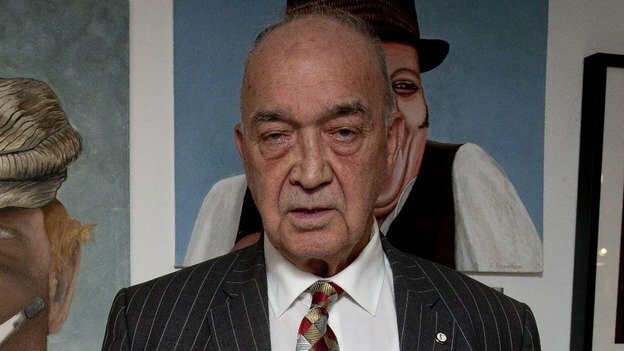 He shared a table with an old friend - Lenny Hamilton - who once ended up with a red-hot poker in his stomach after falling out with Ronnie Kray. "Mad" Frankie Fraser, who wore a matching blue polka-dot tie and pocket square, was a renowned enforcer and jewel thief. He spent 42 years doing time in some of Britain's most famous penal institutions including Broadmoor and Strangeways. 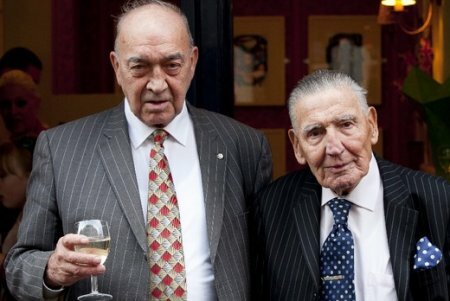 He shared a glass of wine with Eddie Richardson - one half of the Richardson gang which was the Kray brothers' biggest rival during the 1960s. His gang was known for nailing their victims to the floor with six-inch nails. This article was published on itv.com - 25th September 2012.